Doing “hard time” in your organization? You absolutely must arrange a luxurious stay at the fabulous Pelican Bay State Prison. At the northwestern-most corner of California, Pelican Bay supermax houses a population of over 2,200 inmates. 40% of these inmates are serving life sentences. Not only did I walk into the facility, I chose to spend my birthday there. Seriously! I invited many of my business-leader friends to come with me. We enjoyed the vision and enthusiasm of my friend and coaching client, Cat Hoke, CEO and founder of Defy Ventures. Defy is a charitable organization that teaches men, women, and youth that have cycled in and out of the criminal justice system that they are more than just convicts, they are entrepreneurs in training (EITs for short). “This prison is known for being so hard,” she said. “We’re working on changing the culture.” One EIT told her that before Defy, he would wake up thinking about who he was going to stab next. Sound like your corporate culture? Okay, so maybe that’s a bit extreme, yet do you ever have the desire to lash out either at your coworkers or your boss? Has gossip run rampant in the workplace? Maybe a Defy-style “kindness competition” is the antidote you need. Give it a try. I dare you. Want laser-like focus? 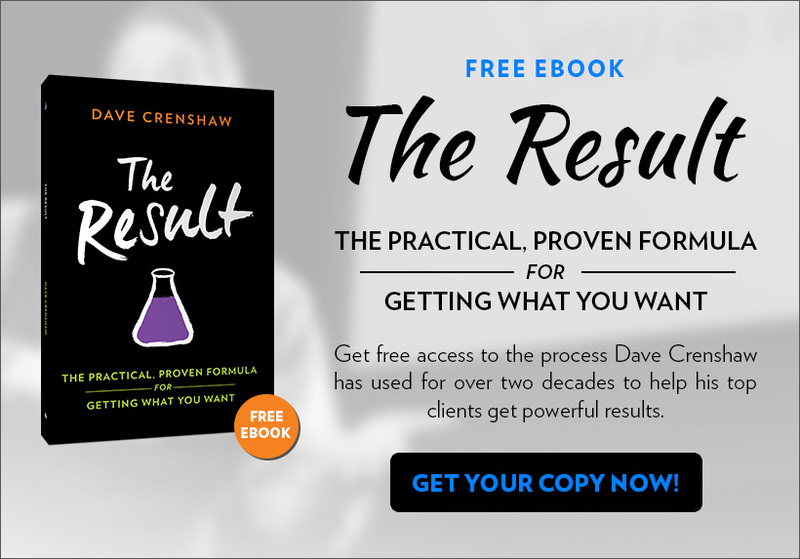 Powerful productivity is the result of getting specific with your goals. 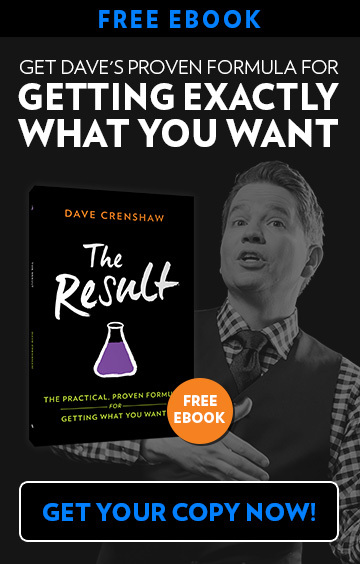 Get the secret process great leaders use to find focus with a free copy of Dave’s newest book, The Result: A Practical, Proven Formula for Getting What You Want.